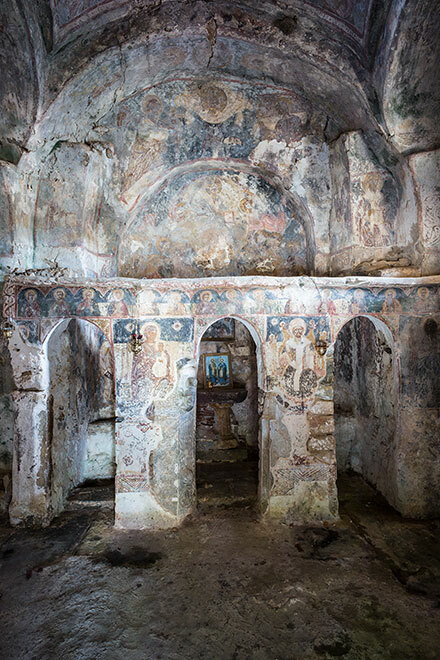 Scattered liberally amongst the acres of olives of the Exo Mani in Greece are many Byzantine and later churches. Typically on a human scale they are a charming mix of Byzantine architecture, frescoes, votive offerings and 21st century kitsch. Access is often difficult but nevertheless rewarding for the intrepid church hunter who when opening the door to the unknown awaits for eyes to accustom to poor light and then views in awe. My hope is this gallery of available light images conveys something of the atmosphere and wonder of these secretive and seductive buildings.